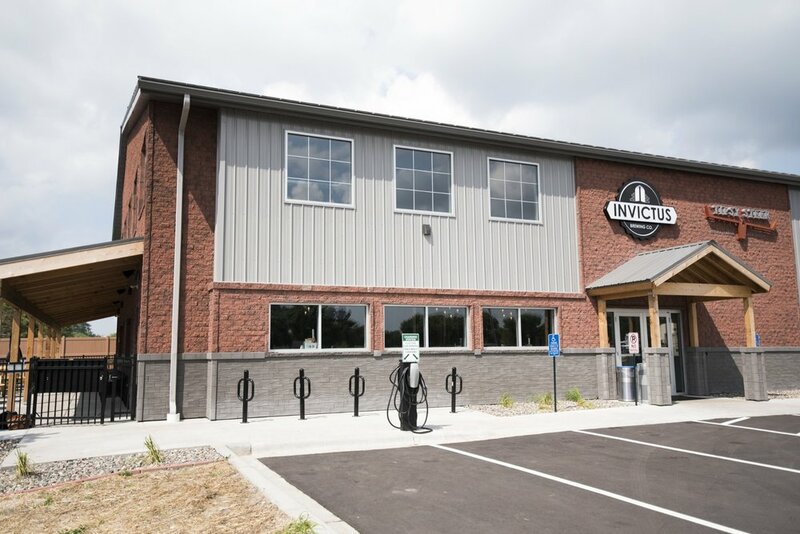 At the end of May, Invictus Brewing Company opened its doors in Blaine, MN! 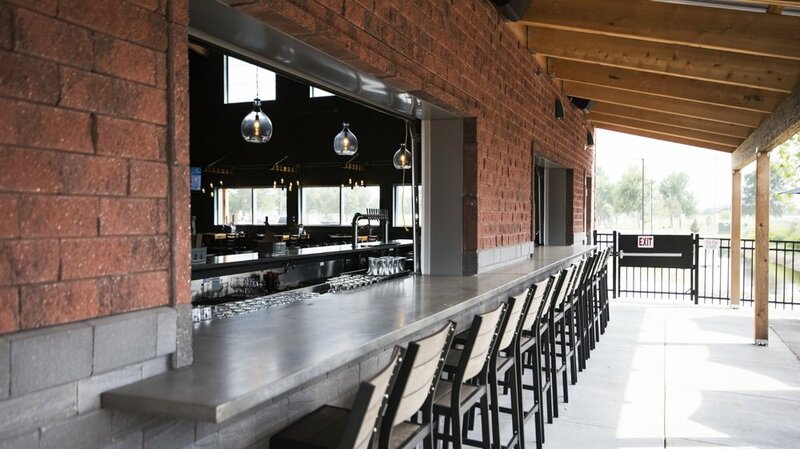 The new, 8,000-square-foot brewpub houses a 1,600-square-foot taproom, private meeting room, commercial kitchen, restaurant, two outdoor patios and an outdoor bar. 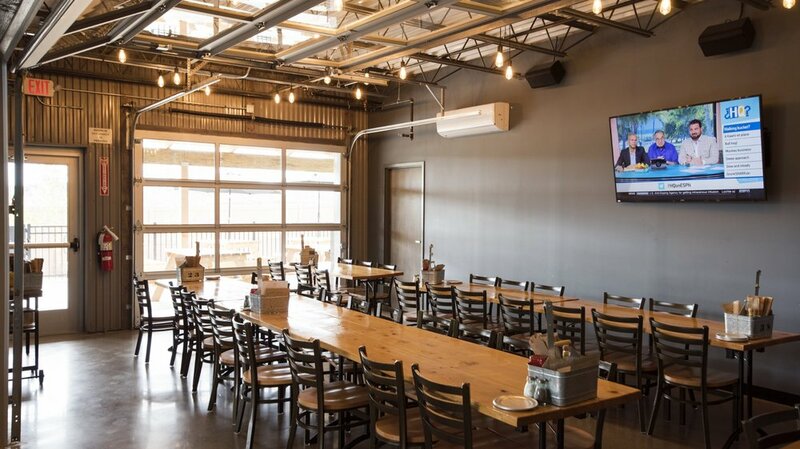 The interior is a blend of rustic and industrial design styles, and features several garage doors to open up the space on beautiful Minnesota days. The building is designed as a SIP System (Structural Insulated Panels) to provide an envelope to compete with harsh Minnesota winters. Add in high end HVAC, photovoltaic solar panels, rain gardens and natural vegetation, and Invictus steps up as a leader in sustainability solution towards green energy. Invictus Brewing Company is also planning to grow hops onsite, as well as offer community garden space to local residents. 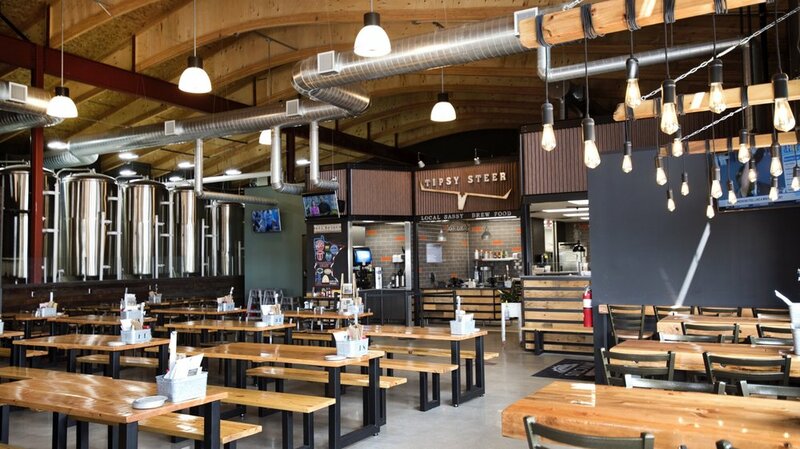 Located on 105th Ave NE, Invictus Brewing Company is just north of the National Sport Center & Blaine Soccer Complex. Thanks to Tipsy Steer and GCM Construction for the partnership on this project!